EDMONTON - Energy experts say the federal government's new plan to consider the climate change impacts of new pipeline developments is a good idea. But they warn such number-crunching won't get governments off the hook for making tough decisions about Canada's energy future. The federal Liberals say two major pipeline projects to bring oilsands oil to coastal ports will now have to consider their impacts on greenhouse gases. 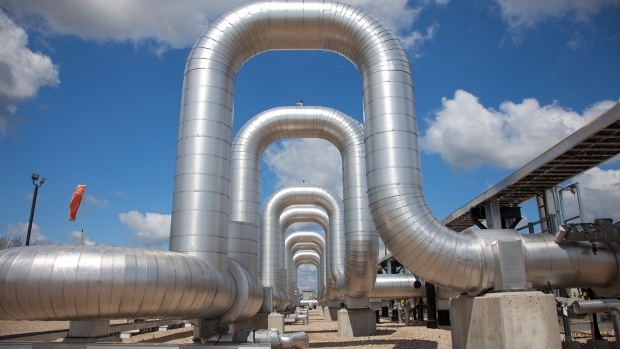 University of Alberta energy economist Andrew Leach says studies show pipelines are likely to increase oilsands production by a small amount. That will also increase greenhouse gas emissions. He and Mark Jaccard at Simon Fraser University say the real question will be how much is too much.